Founded in the year 2000, S.R. 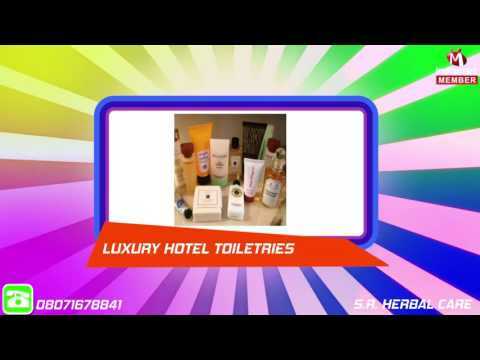 Herbal Care is a leading manufacturing, exporting, supplying, wholesaling and trading of Hotel Amenity, Organic Soap, Shaving Kit, Dental Kit, Medical Kit, Loofah Sponge, Business Kit, Shower Cap, Hair Comb, Care Kit, Vanity Kit etc.. These products are highly admired in the market due to their longer shelf life, effectiveness, no harmful effect, precise composition, no side effects and low prices. Our products are processed using the industry approved chemical ingredient that is bought from reliable retailers. Our vendors keep these chemical ingredients at hygienic places. In order to carry out the best quality, our processed products are supervised by our experience quality checkers who have affluent industry acquaintance. Furthermore, in order to offer the best quality products, these products are inspected on well defined quality parameters using sophisticated testing tools.